Hi everyone. 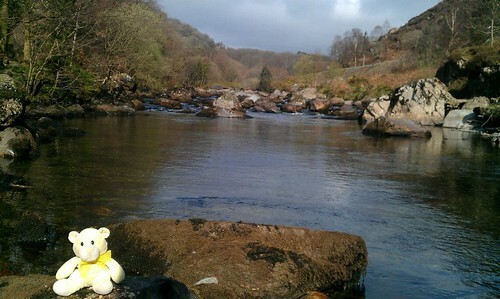 We went to a place called Snowdonia National Park on holiday earlier this year. It was lovely and we had some great weather. 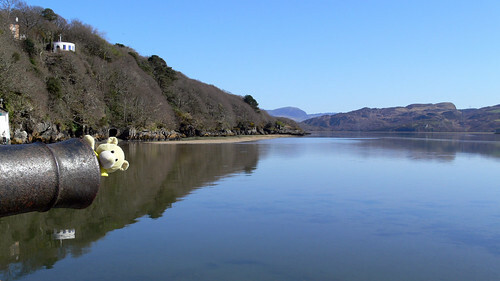 We were staying in a nice caravan at a place called Greenacres in Porthmadog. 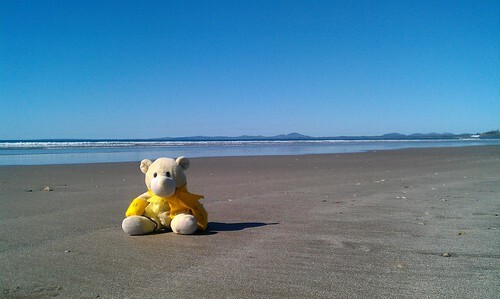 The caravan place is right by Black Rock Sands which is a mahoosive beach. 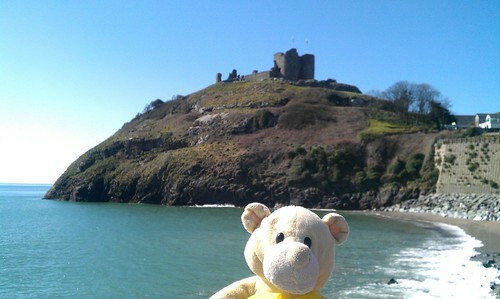 We went for a drive along the coast to a place called Criccieth. Here I am near the castle. Then we went for a drive and found a nice place to go for a walk. 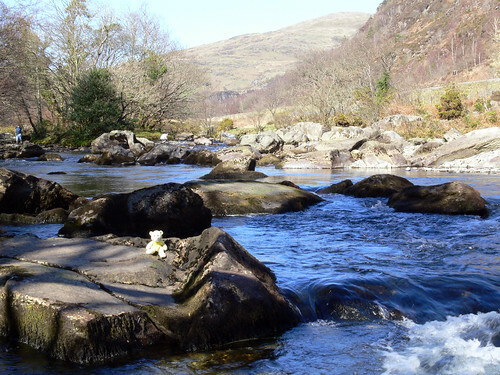 This is the Glaslyn River in Aberglaslyn Pass. 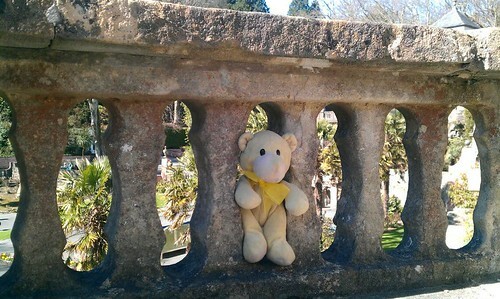 It’s a warm sunny day so it’s nice to sit on a rock and chill for a bit in the sunshine. It’s very pretty isn’t it? Wish I’d got some sunglasses though. …and then I had to be retrieved by one of the hooms as I couldn’t jump back across. 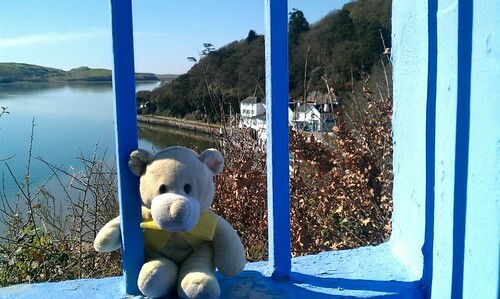 The next day we went to a place called Portmeirion. They filmed a television show here years ago. One of the hooms kept wandering about talking about not being a number or something?? I hope there’s no gunpowder in this thing? 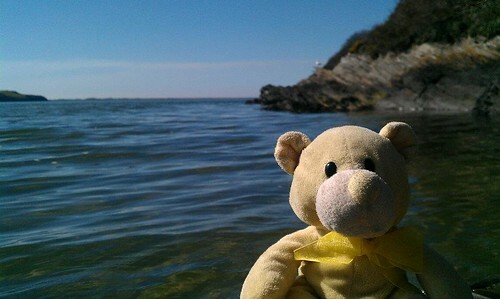 We went on the little coastal walk at Portmeirion. It was quite a hot day so the water was nice and cool on my paws. 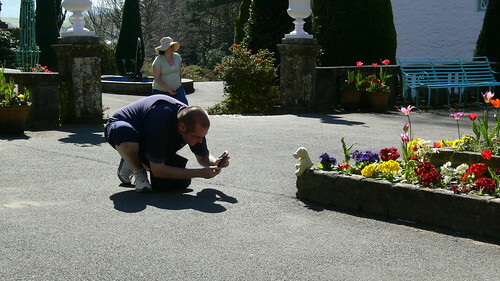 Working with my photographer in the Piazza at Portmeirion. Shame he managed to position me so it looked like the fountain was coming out of the top of my head. The offending photograph is on Flickr, I shall not post it twice – grrr! Perhaps I should go easy on the ice cream? 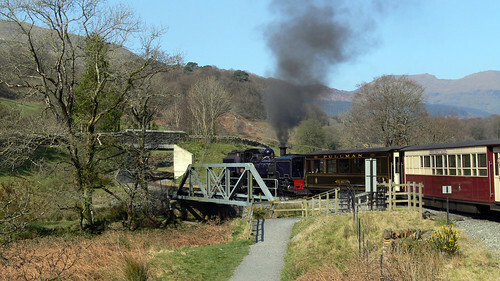 The next day we caught the Welsh Highland Railway steam train at Porthmadog and went for a day out to Beddgelert. 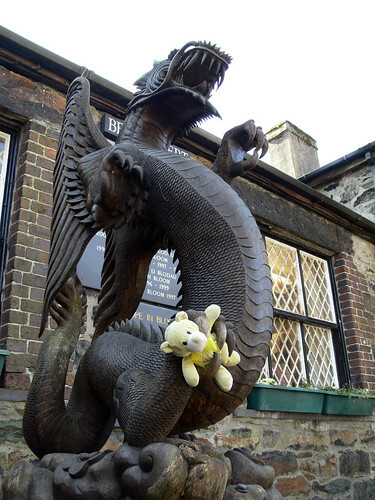 The dragon at Beddgelert Woodcraft thought I was some tasty morsel to eat. Thankfully I wriggled free. 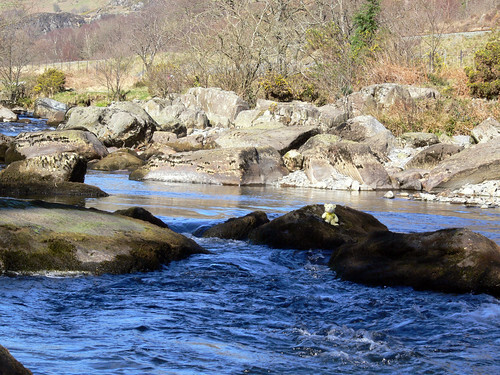 We went for a walk along the river at Beddgelert to a tree where there is a very sad story from hundreds of years ago about a dog called Gelert. 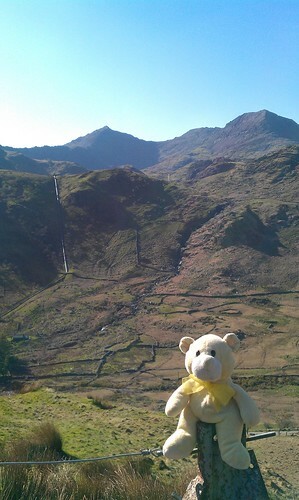 The next day we went to see Mount Snowdon. 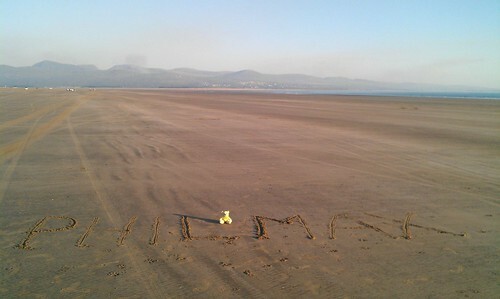 The evening before we went home we went back to Black Rock Sands and I claimed a little piece of it for myself. 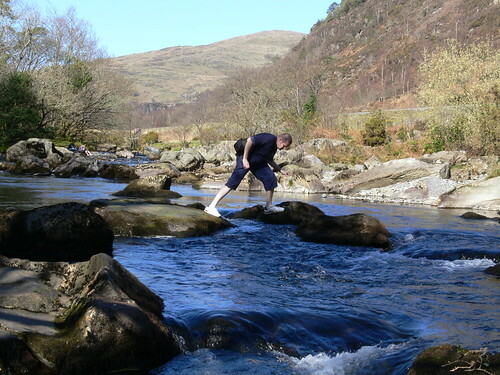 We had a wonderful time in North Wales. I’m sure we will go back soon.